"Day of the Dead" is a tricky one for me - I struggle to find a perfect place to watch it to completely satisfy both continuity and story development (makes me think of the insoluble problem of ordering the episodes of Crusade... ) which is probably a by-product of jms not writing the script himself. - In "The Very Long Night of Londo Mollari" Lennier leaves to join the Rangers, so it must come after that. - In "Mediations on the Abyss" Delenn refers back to Lennier's visit during DotD so it must come before that. - Londo & G'Kar appear in DotD, so it must come either side of their trip to Centauri Prime which runs from them leaving in "Strange Relations" through to their return in "The Ragged Edge". - Also since the first scene of "Strange Relations" is the morning after the last scene of "Learning Curve", DotD actually must come either before "Learning Curve", or after "The Ragged Edge". - At the end of DotD, Lochley mentions Garibaldi wants to blame the night's disruption on "the telepaths". If you take this as a reference to the telepaths living in DownBelow then this means DotD must come before "Phoenix Rising", which puts it at the earlier end of the possible range, i.e. between "Night of Londo Mollari" and "Learning Curve". My guess is when jms gave Neil Gaiman the background for Season 5 (which was presumably some time before jms actually started writing most of it) he might have intended DotD to go somewhere after the Lochley/Sheridan revelation, but before the climax of the Byron story - which is of course where it originally (but incongruously) aired: after "Secrets of the Soul". Don't worry about Terry. He gets rude if anybody dares to question his nonexistant authority. He sometimes forgets that 'authorized' isn't the same as 'official'. As for my "non existent authority" I never claimed I had it.There's no fan hierarchy as you point out. I'm certainly not a celebrity fan nor do I claim to be. "He sometimes forgets that 'authorized' isn't the same as 'official'." Sorry in my book if it's authorised, it's official. Last edited by b5historyman; August 14th 18 at 08:13. Lennier has been gone from the station long enough to be sent to train in deep space and reach a break between training cycles. That suggests he's been gone a while. In Learning Curve, Lockley says that she never thought she'd meet a second person as annoying as herself. Presumably the first is Sheridan, a hint Sheridan and Lockley know each other. If we know they were married the scene means something else so it's not really evidence either way. Yep, that's where I'd put it too. Putting it as early as it is on this list also has problems with Garibaldi blaming telepaths as Byron and his group hadn't done anything to Garibaldi yet. To be honest, I don't find it much of a stretch to think of Garibaldi blaming "the telepaths" and just meaning all of them. He's basically doing the same as blaming "the Jews" or "the gays" or whatever. And from the sound of it Lockley's gotten sick of hearing it too. That doesn't sound like the same Garibaldi that has just recommended bringing in telepaths to gather intelligence for them or who is briefing telepaths on the job he wants them to do for the alliance in the next episode. But it does sound a lot like him mid-season where he's on the slide after finding out he can't kill Bester. If you don't like that explanation, move it back one more episode and it's after The Corps is mother, the Corps is father. In which case he's referring to Bester and the teeps who came on board with him. That puts it a little close to Meditations though. You both ignored my point: that you were rude - and made my point: that you had *permission*. Permission doesn't make the finished product automatically accepted as definitve regardless of how many balls you worked off.. Don't get me wrong, the timeline is great and the viewing order gets a lot of compliments. But you do tend to throw that in people's faces. There IS a fan "hierarchy" and I claim EMPEROR SUPREME BEFORE ALL OTHERS!!!!! Okay now that everyone knows their place it is time for Looney to weigh in. Of course I can't really weigh in because I am nowhere near DAY OF THE DEAD in b5historyman's Chronological Order. What I will say is watch your wording people!!!!! This is friendly space. b5historyman you have created a way to watch Babylon 5. Most people whom have never seen the show are not likely going to watch it in the order you prescribe, but you have given those who fall in love with the show different way to experience that joy all over again. Because of this you should choose your words carefully when answering questions from those whom have different perspectives on how things work. Never forget those questions are likely coming from people who love something you love almost as much as you do. And also never forget that for all of your efforts the most you can ever hope to gain is admiration like the words I just wrote to you. That is it. Appreciation from some, but your viewing order will never gain acceptance by all. Sorry, it just doesn't work that way for the simplest reason of all, Babylon 5 did not originally appear in that order. I know you might feel like you are forever defending your work, but I'm saying you don't have to. I think you kind of know this already because I've never read you say that this is the only way people should watch the show, but remember when your efforts are questioned they are still recognized as efforts so don't get overly defensive. Some might say you are wrong, but the reality is your order can't be wrong because you are simply providing a well researched alternative. 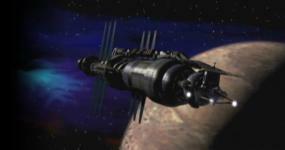 People are going to choose how they want to watch Babylon 5 and there is little anyone, including JMS, can do about it. He could come out today and say that anyone not watching Babylon 5 in the order you established is watching it wrong and people would still watch it in the order it aired or however they want. There is only one truly wrong way to watch Babylon 5 . . . backwards. So Jan, is it safe to assume you have had go-rounds with b5historyman in the past? I think it is pretty evident. So do you agree with what I said to b5historyman above? Do you think maybe I said it a little nicer than immediately calling b5historyman rude and then saying b5historyman throws things in people's faces? And I won't even get into the "balls" discussion, on or off. And full disclosure, I do agree that b5historyman's wording did sound a bit "rude." I can't speak to claims or authority and what not, but I will point out that Jan's words were "belittling". I think the debate is perfectly fine. I just think everyone needs to write more carefully to avoid their words sounding "rude" or "belittling". P.S. I will also say that b5historyman's point about Character Knowledge vs Viewer Knowledge has always been an interesting point for me. Especially when it comes to Babylon 5. Karajorama: Hey, I have Reason X for not putting Day of the Dead there. Can you tell me Reason Y or Z for why you did? b5historyman: Reason X is explained away this way. Karajorama: Okay, but I'm still looking for Y or Z. There are pushes and pulls, right? A pull is a reason to put an ep in a particular place, a push is a reason to have it be elsewhere. Karajorama said, "I see a push. Could you explain the pulls?" And b5historyman said, "That push isn't actually a push." Well, let's assume for a moment that b5historyman is right and Karajorama is wrong about that. But the question was about the pulls. What was the reasoning for putting "Day of the Dead" where it is? That's what Karajorama was asking. b5historyman, if you aren't willing to tell us what the pulls are, then it's going to sound awfully like your reason is "Because I said so." Even if you did all the research and in fact have Reasons Y, Z, Q, and 5, if you won't tell people what they are (and instead say "Do whatever you want, but I'm still right and you're still wrong"), you sound like an arrogant arbiter. You can understand why that might make people a little pissed off. But I'm guessing you actually do have reasons for "Day of the Dead"'s placement. I'd like to know what they are, so Karajorama finally gets an answer. If you don't have time to explain those reasons right now, totally understandable, but say so. I JUST pointed out that b5historyman shouldn't overly react in a defensive manner to questions about the viewing order and within moments KoshFan requests that b5historyman DEFEND the question about the viewing order. But seriously I love that this is generating discussion. Let's all choose teams. I am going to pick Jan and b5historyman. Teamwork is what we need. I just know it. It is sooooooooooooooooooooooooooooooooo sad how much fun I am having. I am truly a ridiculous person.